During the last couple of years, cars have transformed from a simple means of transportation, to intelligent vehicles that can assist and improve your driving experience in numerous ways. This has also brought an interesting evolution on the market of car accessories, which are now a better fit for the modern driver. With this in mind, in this article, we will talk about 10 essential car accessories meant for today’s driver, who is always in a hurry, wants to stay safe on the road, and wants to get more things done at the same time, while also having a pleasurable driving experience. As we live in an era where smartphones, tablets and laptops are indispensable, having a high quality car charger is essential for the better good of your battery and nerves. While your phone may last you throughout the day, it’s simply impossible not to miss charging it at least a couple of times per week, which in turn, can leave you battery-less for the entire day- unless you have a car, USB-charger. At this moment in time, there are numerous models on the market. Most of these plug directly into your car’s lighter port, or dedicated charging port, and can give out different amps of power, depending on what you require. There are also some chargers that come up with more than one port, but also chargers which light up, as soon as electric current is passing through them, to help notify drivers that their devices are charging. While some people may enjoy wearing a hands-free device on their ears while driving, the truth is that they often take a bit too much to set up, and can get quite uncomfortable after long periods of being worn. In case you do not mind other people listening to your conversations and if your car does not offer Bluetooth connection out of factory, then you can simply get a Bluetooth car kit. 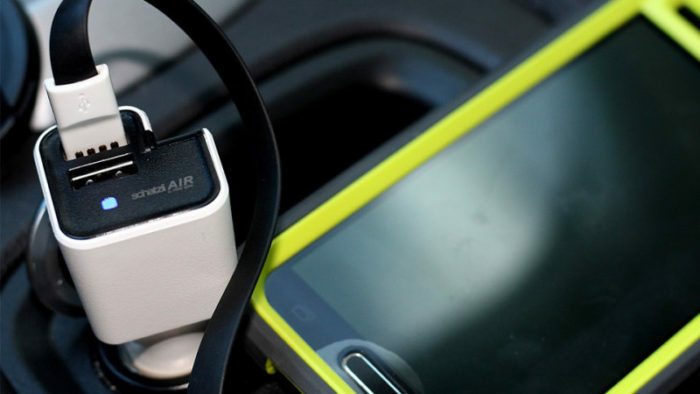 These devices easily connect to your Bluetooth-enabled phone, and to your car’s radio system, and can make and answer calls, while putting the person calling on the car’s speaker, or can also be used to play music. The modern driver has also become quite dependable on their mobile phones, due to the interactive GPS applications being offered. Driving whilst keeping your hand on the phone isn’t very comfortable, which is why a phone holder is essential for the modern driver. There are numerous, suction-based, one size fits all models, most of which do a fairly good job at holding your device safe at all times, while also helping display important information. In case you’re a petrol head, or just very interested in the more technical aspects of your daily driving, then you might want to look for a diagnosis device, such as the Automatic car adapter. This device, which has also been regarded as the ‘Fitbit for cars’, plus into the OBD-II port of your vehicle, and measures and stores information related to your speeding habits, breaking, fuel consumption and so much more. Not only this, but it can also diagnose issues that your car is dealing with, thus removing the need to take it to a mechanic to determine what the problem is. Most new cars come along with a tire pressure monitor, which lets the driver know whether a tire is lacking enough air pressure. However, there are also cars which do not. Keeping track of your air pressure is essential while driving, as it can increase or decrease fuel economy, alongside with the drivability factor of your vehicle. The Fobo Tire Plus, for example, is a tool which can easily be mounted on the tires, and will let your know the tire pressure, via Bluetooth on your phone, while also warning you of possible, tire-related issues. Driving is dangerous- that’s a clear fact. Regardless of whether you are a good driver and respect all traffic laws, you may still be involved in accidents where you are not the culprit. What better way to prove this to the police, other than using a dash cam? These devices can easily be mounted on the window of your car, and will proceed to record everything that is happening in front of you. Some, also come with movement sensors, and can start recording whenever they detect movement. This is perfect for parking lots, where people are often the victim of hit-and-runs. Tire punctures are fairly common due to the state of the roads that we drive in. having to change a tire because of a simple puncture can be quite annoying, as it’s both expensive, and can also take a considerable amount of time. For some cases, a tyre weld represents a great solution, which can easily fix small to medium tire punctures, thus saving you from having to go to a mechanic as soon as possible to have your tire changed. Most car drivers have had to use a jump starter at least once in their lives, yet the issue that most experience is not having one in their vehicle. This can lead to hours of frustration, especially if your car battery often drains, and you find it difficult to turn on your car. Keeping one on you can save both time and money. 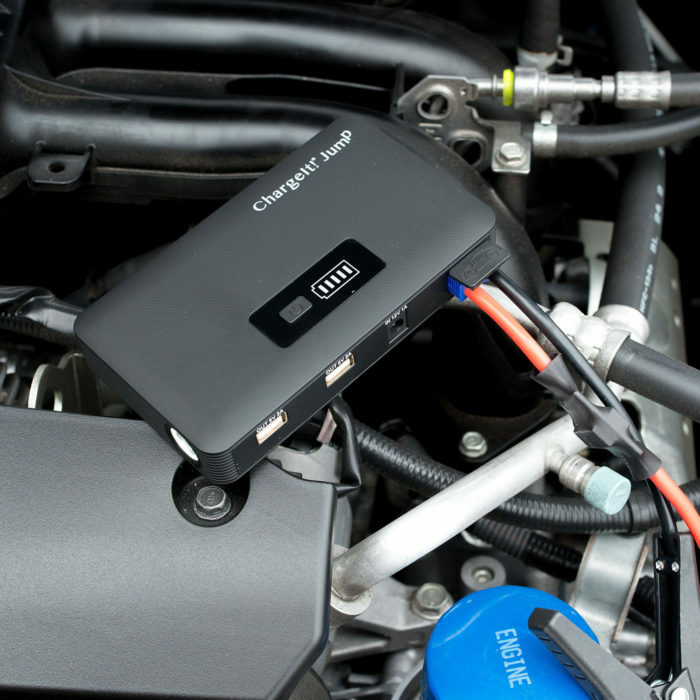 There are numerous jump started available on the market, some of which can also be used to charge mobile phones or laptops. The air in a car can quickly get smelly, due to fumes, dust, smoke and pollen. While some cars offer air purifiers from the moment they are shipped out of their factories, other do not. Investing in one can save you a lot of struggle, while on the road, and dealing with unpleasant smells. Most can be plugged in the USB system, or lighter ports of your vehicle. Unfortunately, drivers from all around the world disregard the importance of carrying a flashlight on them at all times. In case your car breaks down in the middle of the night, on an unlighted road, you’ll want to have a flashlight to use in order to take a look at the engine. They can also be used to find lost objects in your car, in case the in-car light isn’t strong enough. Based on everything that has been outlined so far, these are only 10 of the most essential car accessories that every modern driver should own. By purchasing them all, you and your passengers, will be both safer, but also more comfortable while driving.